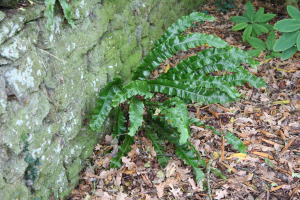 Observation - Ferns - UK and Ireland. Description: Long slender stem and leave, shiny green, undivided frond, about 70cm long. Long slender stem and leave, shiny green, undivided frond, about 70cm long.